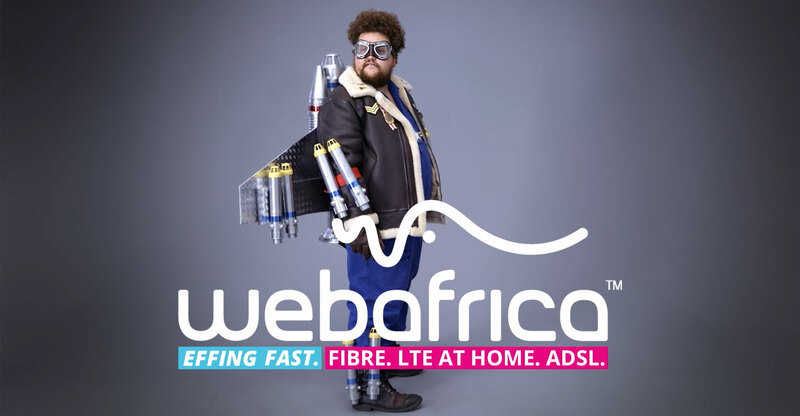 The Advertising Standards Authority has ordered Webafrica to withdraw its latest advertising campaign, which uses the phrase “effing fast Internet”, where it might be heard or seen by children. The authority, which polices advertising in South Africa, has partially upheld a complaint from two consumers separately who took issue with a billboard hoarding alongside a school and a radio advertisement, both of which used the offending phrase. Webafrica was ordered to remove the phrase from material shown or flighted in places and at times where children were likely to be exposed to it. It said any use of a billboard with the phrase in a public space amounted to exposure to children, as did any radio commercial at times and in programming that children were likely to be listening to. 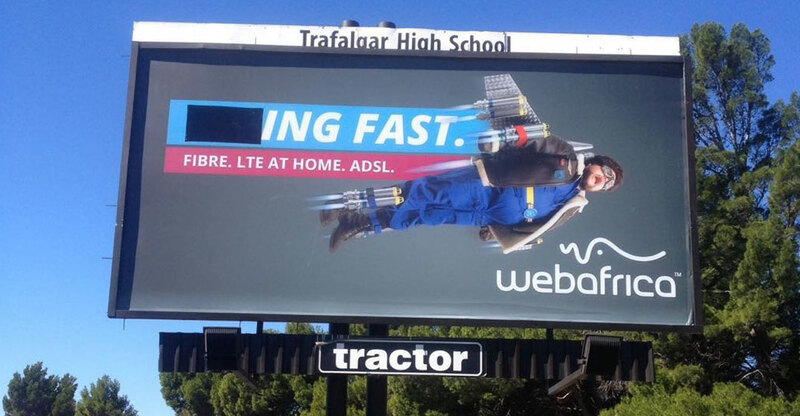 The complainants, Timothy Wege and Nick Hill, took issue with the offending billboard being erected at Trafalgar High School in Cape Town and being advertised on Smile FM, a local radio station. In his complaint, Wege said he had to explain to his daughter what “effing” meant. He argued he was offended after he had to explain the meaning of the word “f***ing” to her. Hill said that although the word “effing” was not in itself a problem, Webafrica made it quite clear as to what the word should be. He found this “extremely offensive and an invitation to children to use the implied word or variances thereof”. In response, Webafrica said “effing” is a “commonly used word for many people with the express intention of avoiding the use of the actual, more profane word it was originally derived from”. It submitted that the Cambridge English Dictionary defined the word as an alternative to “f***ing”, “flipping” or “freeking”. The complainant, it said, did not need to explain to his daughter that “effing” meant “f***ing” but could have said it meant “flipping”, or another alternative. It also argued that the introduction of risqué words to children at a younger age was inevitable with access to the Internet. However, the company said it was not aware that the billboard has been placed on school grounds and committed to blacking out the “eff” so that billboard simply read “ing fast”. In response, the ad authority said Webafrica’s undertaking would only amend the billboard placed in the school premises without addressing the continued use of the claim in five other billboards and other advertising media. It said it was not satisfied that the proposed change adequately addressed all the concerns raised. “The directorate tends to agree with the second complainant (Hill) that the word ‘effing’ is not in itself a vulgar word,” the authority said. It said that for the advertising to be offensive, it would have to be shown that it contained references that were regarded as inappropriate and offensive under “prevailing societal norms and sensitivities”. It should consider the commercial from a hypothetical reasonable viewer’s perspective, who was not “oversensitive or hypercritical”. It considered that the use of the phrase “effing fast” would not be offensive to the hypothetical reasonable adult. “The use of the phrase and the word ‘effing’ is therefore not found to be in contravention of (the advertising code) in so far as it is exposed to adult consumers,” it said. However, it took issue with the phrase being used on billboards that were in public places and on radio at times that children could hear it. It said the claim “effing fast” was not suitable for children and therefore contravened the advertising code. Webafrica was ordered to remove the advertising so that it could not be seen or heard by children.